Telecom operator Trai plans to discharge Wi-Fi deployment across the country by allowing individuals, communities, small-time entrepreneurs, and content and application providers to offer affordable and high-speed internet to the public. According to Trai, India is lagging in the usage of Wifi technology, when compared to other countries as people mostly use wifi when it is available for free. While India registered a growth of 12% from 2013-2016 in the number of hotspots the other counties recorded an astounding increase of 568% during the same period. The officials of Trai believe that Wi-Fi deployment has the potential to provide internet access at affordable costs across urban cities and rural areas. According to Trai, Wi-Fi deployment will take off the load on telecom operators who are currently facing the issues of poor call quality and slow broadband speeds. Trai plans to provide the internet for 2 paise per MB against the existing rates of around 10 paise in the mobile telecom market. 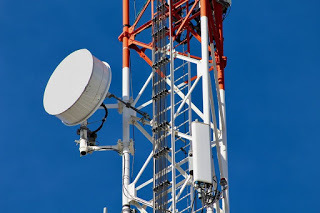 Trai will send the recommendations to telecom ministry to make necessary changes in the licensing and other rules. “The idea is to ensure that a consumer can easily move from his mobile network to low-cost public Wi-Fi hotspots without having to go through multiple authentication issues. New intermediaries to provide Wi-Fi will help have higher touch-points for the internet that can run into millions,” a source said. Trai had floated a consultation paper on spreading reach of Wi-Fi in July last year, and had followed it up with another consultation paper that spoke about relevance of inter-operable systems in boosting proliferation of internet The regulator is looking at formation of policies and creation of an infrastructure that give a big push in establishing a Wi-Fi grid, covering major towns, cities and rural areas. According to the official, costs of setting up Wi-Fi, infrastructure is lower when compared to mobile broadband networks like 2G, 3G and 4G as the technology utilize unlicensed spectrum and equipment is cheaper and more readily available. Also, the maintenance and operational costs are on the lower side. “For India to reach a goal of one hotspot for every 150 people (current global average), 8 lakh additional hotspots will have to be installed,” Trai said in order to ensure continuous and reliable supply of internet through Wi-Fi hotspots the network should be able to sustain itself through appropriate monetization techniques. Trai further said internet-service providers may enter into deals among themselves for sharing public Wi-Fi on rental revenue share basis.